XRAY is from Florida, but has been based in Montreal since 2008. He started out as a graffiti artist in the 1990s when he turned to skateboarding and hip-hop culture. He is best known for his colorful work, and his paintings are inspired by the art of advertising from the 1950s to the 1990s. Although the influences are eclectic, current pop culture represents most of the inspiration. His aesthetic work consists of clean lines, cartoon images, original typography. His art explores both modern and urban themes and his interest is in how advertising can influence the evolving mind. 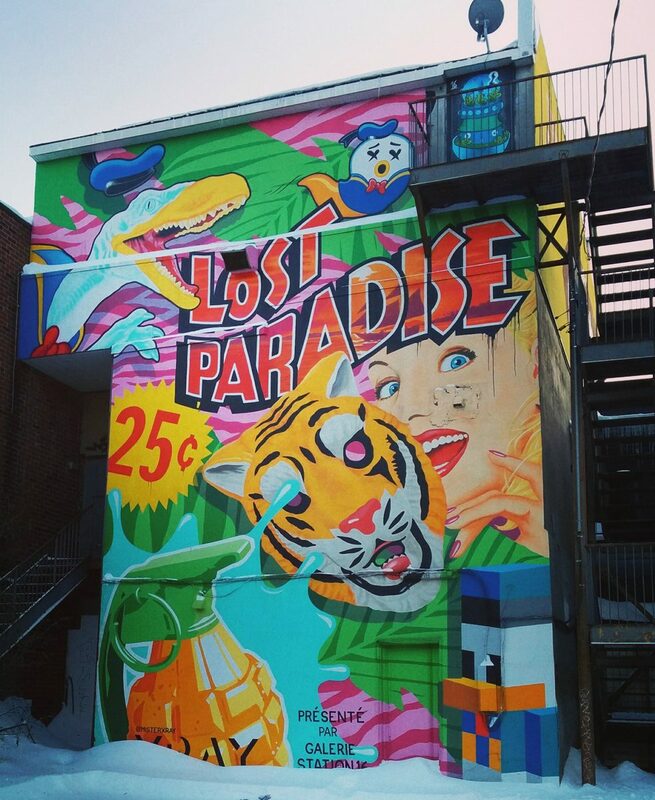 Lost Paradise is also available for purchase - hier!